This is a draft of the Utility Driver. 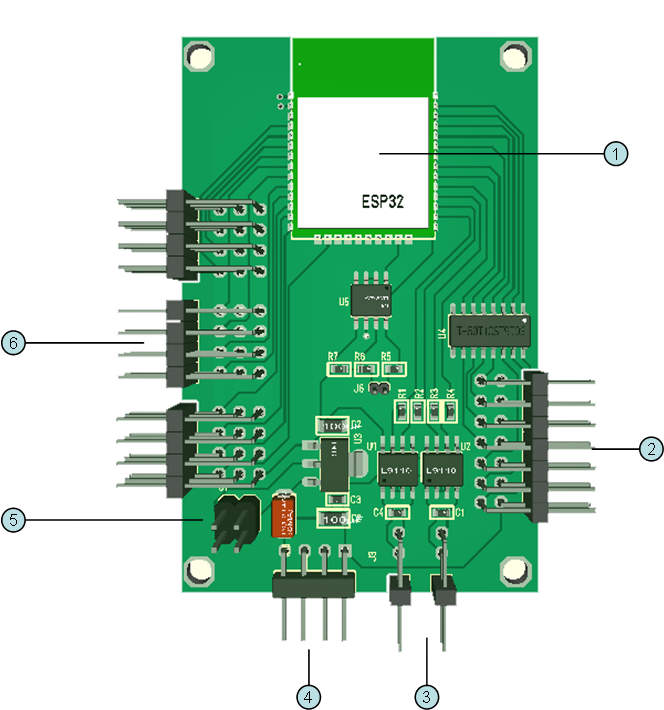 Basically this is a ESP32 based driver board with 7 PWM lines, 2 H-Bridges, 12 IO lines and a RS-X connection. The board can be used as a wired/wireless utility board. RS-X port w 12V Power inn. Jumper to select 3.3V or 12V on signal channels. 12 x Signal channels. Can be analogie in, Digital In/Out, Servo, I2S, I2C, UART, SPI, PWM or others.